Educational word and number game. Is there a better alternative to Ignazio FunHouse? Is Ignazio FunHouse really the best app in Card and Board category? Will Ignazio FunHouse work good on macOS 10.13.4? Ignazio FunHouse needs a review. Be the first to review this app and get the discussion started! Ignazio FunHouse needs a rating. Be the first to rate this app and get the discussion started! Ignazio takes a holiday to Frogland to visit one of his beloved relatives, and he suddenly find himself immersed in a fun house, with two entertaining games: Crazy Words and Magic Flowers! 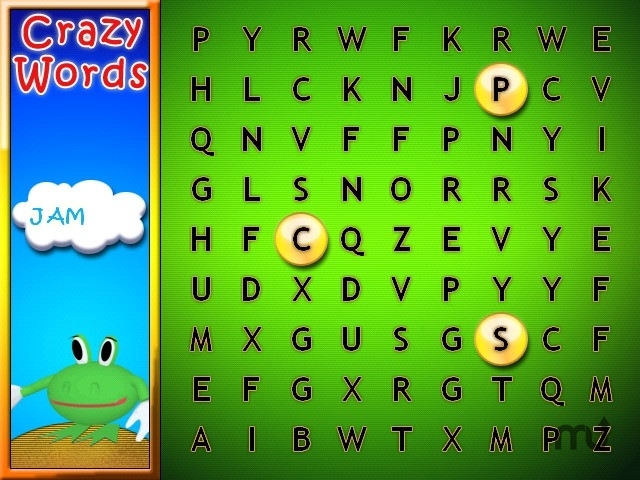 Crazy Word - discover the word hidden in a labirinth of letters. Pick the right letters, in any order you want, and compose the word displayed on the left to see various friends of Ignazio: a cute cat, a happy dog, a colorful fish, and so on! As the game progresses, you'll have to discover longer words. Magic Flowers - the flowers are the ideal way to start practicing with the difficult world of numbers! each flower has associated a unique color and a number, and your goal in the game is to pick the correct number to complete a operation, which will be displayed with a question mark (the number you must find to solve it).